First planes, now firefighters. The filmmakers could use with a little less confusion in making this movie. 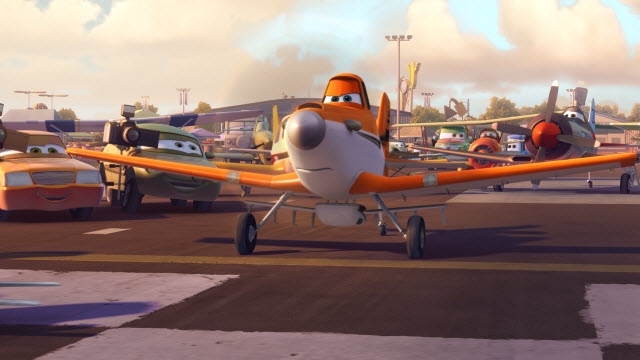 A sequel to the Cars spinoff Planes last year, which was itself a disaster, Planes: Fire & Rescue might want to first rescue itself. The movie is centered around Dusty Crophopper, a plane that has chalked up multiple race wins, and tracks his path from a race champion to a trained firefighter. Why firefighter, you might wonder. An explanation to that would be a potential spoiler and, as much as I don’t recommend the movie, I will ask that you watch if you’re interested to know. More on the action (of firefighting) and less on the cutesy characters, this is better off as an educational movie on aerial firefighting done with animation. Slapstick humour and punch lines are inserted at various parts that at best induce forced laughter from young adults. There is not much development for the numerous characters, except that they resemble different kinds of planes. If you happen to be interested in planes and aviation, this could just be the movie for you. A good distraction comes in the form of Cad Spinner, a luxury sport utility vehicle. Voiced by John Michael Higgins, Cad’s profit-driven mindset and blatant disregard for fire safety measures draw flak from the firefighter planes. This adds in the conflict of interest that the plot relies on, but much of the action is diverted away from it. The saving grace lies in the second half, where Dusty eventually overcomes his weakness and risks his life to save others in a fire emergency. Quite melodramatic, but it is a better conclusion than none. The movie uses plenty of aerial shots since it’s about planes, however viewing it in 3D was not essential since its presence is hardly felt. Sad to say, the movie doesn’t entertain kids and is likely too boring for adults. It falls in the dismal category of not appealing to any particular audience. The only thing it has probably done right is its short duration. With regards to its blatant downsides, the movie as a sequel does have an improved overall story nonetheless. A simple plot with a moral message attached, Planes: Fire & Rescue may well be best enjoyed at home with the family. 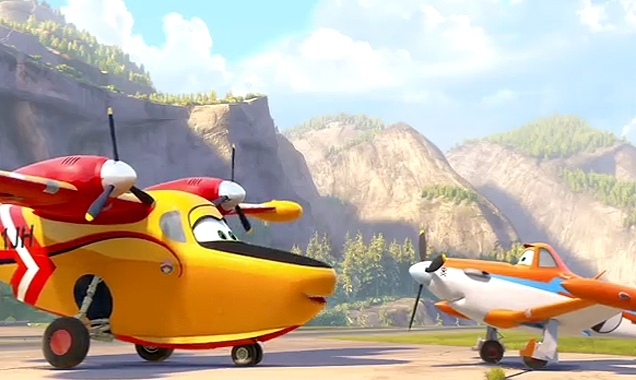 Planes: Fire & Rescue is now showing in theatres. This film was reviewed in the 3D format. Premiere courtesy of Walt Disney Studios Motion Pictures.